Beck Ag’s Board of Directors has a dedicated focus on executing Beck Ag’s mission — improving business results for our clients and their customers. With their extensive ag experience, the board works carefully to develop strategic business objectives that position our teams, and clients, for growth and success. John has more than 30 years of Ag-related sales, marketing, technical and management experience cultivated at Chevron Chemical Company, Valent U.S.A. and for over 20 years now, Beck Ag. John partnered with Charlie Beck in 1996 to form Beck Ag and provide agriculture professionals the opportunity to share experiences, learn from each other and gain access to industry and subject matter experts. John graduated from Penn State University with a bachelor’s degree in Horticulture. He has also completed the University of Chicago’s Marketing Management Curriculum and Northwestern University’s Kellogg Management Institute. His trade association involvement includes a term as President of the Delaware No-Till Council, Vice President Delmarva Ag Chem Association, as well as memberships in the National AgriMarketing Assoc., The Word of Mouth Marketing Association, the American Seed Trade Association, the American Marketing Association and various commodity trade associations. 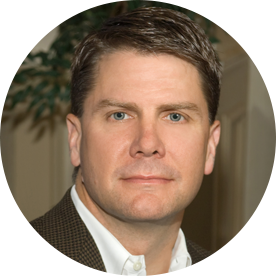 John has served on the National Agri-Marketing Association (NAMA) Board and was the recipient of the NAMA’s “Ag Communicator of the Year” award for the year 2000 and “Dilworth Award for Innovation” in 2002. He is past President of the Sacramento Chapter of EO (Entrepreneurs Organization) and remains an active member in this global organization of entrepreneurial business owners. John serves on the Board of Directors of Capital Public Radio, the YMCA of Superior California and is a Founding Partner of Social Venture Partners of Sacramento. 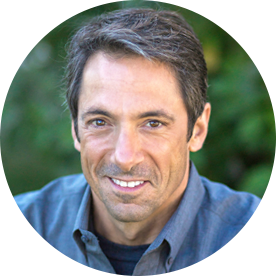 He sits on the Board of STAND UP and is an Advisory Board member of Sustainable Conservation. John also was a founder of the San Juan Education Foundation and remains on the organization’s board. He also serves on the Board of Directors of The Positive Coaching Alliance which is dedicated to “transforming youth sports so sports can transform youth” and has coached youth baseball and soccer for over 15 years. Stephanie is instrumental in providing the actions required to support Beck Ag’s long-term vision while at the same time keeping the organization’s short-term focus on delivering the best value for Beck Ag’s clients and their customers. Stephanie graduated from Iowa State University with a Degree in Public Service and Administration in Agriculture. She came to Beck Ag with a family farm background and more than 20 years of successful experience in sales and sales management experience with American Cyanamid. Just prior to joining Beck Ag, she worked with Agri Business Group consulting with various organizations improving their organizational learning strategies. Stephanie is instrumental in providing the actions required to support Beck Ag’s long-term vision while at the same time keeping the organization’s short-term focus on delivering the best value for Beck Ag’s clients and their customers. To achieve the delivery of this exceptional value, she also focuses on the selection and development of Beck Ag’s highly motivated team of professionals. Stephanie describes her passion and her mission in this area as developing people towards exceptional performance. 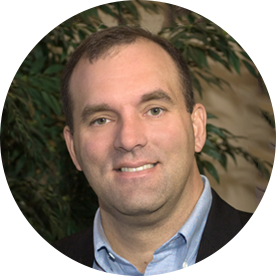 Jay Kelley’s entire career to date has been in the agriculture industry, helping organizations identify and pursue opportunities that drive internal and external growth. Before joining Beck Ag, Jay was with Agri Business Group (ABG) / Adayana Agribusiness Group. In his more than 7 years with the organization, Jay lead business development activities with clients to develop strategies and tactics that enabled their organizations to learn, grow and make decisions, and also facilitated a variety of discussions for clients, including strategy development, marketing planning, sales training and account management. Since joining Beck Ag, Jay’s main focus is helping clients solve problems. 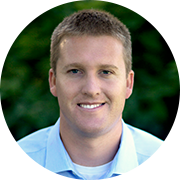 “I enjoy helping clients design a strategy for how to overcome a challenge or solve a problem, but I love the fact that our team can then implement that strategy for the client and measure the positive impact of putting the plan in action.” Jay graduated from the University of Illinois, majoring in Agribusiness Markets and Management with an International Marketing minor. He and his wife reside in Iowa with their two girls, and enjoy their opportunities to be part of their family farming operations in Illinois and Nebraska. Keith’s primary role is identifying opportunities for Beck Ag clients to realize the full value and benefit from word-of-mouth marketing. He also leads the Beck Ag team with a strong market research background. Keith brings to Beck Ag experience from the ag retail sector and has a broad background in production agriculture from the South and the Midwest. His positions have included responsibilities for sales and marketing of crop protection products, seed and various services. His educational background includes a degree in Agronomy from Purdue University. Keith’s primary role is identifying opportunities for Beck Ag clients to realize the full value and benefit from word-of-mouth marketing. He also leads the Beck Ag team with a strong market research background. Over the years, Keith has consulted with hundreds of growers, dealers, and other ag professionals. His experience ranges from ag suppliers in New York to apple growers in Washington (and most places in between). Vince's focus is on building relationships with agricultural industry clients and integrating word-of-mouth marketing as a fundamental ingredient in their overall marketing mix. Vince Richmond has 20 years of diverse agricultural marketplace experience. Before joining Beck Ag, he was the North American Marketing Manager for FMC Corporation. Prior to that he held management positions in sales, marketing, account management and business development with American Cyanamid, United Agri Products (UAP) and Micro Flo Company. 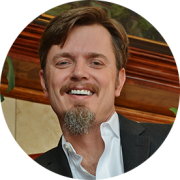 His educational background includes a bachelor’s degree from Arkansas State University and executive coursework at the Wharton School of Business and Purdue University. Vince’s focus is on building relationships with agricultural industry clients and integrating word-of-mouth marketing as a fundamental ingredient in their overall marketing mix. He assists clients in their efforts to harness the power of word-of-mouth by designing and implementing effective word-of-mouth marketing and sales strategies. Vernon is responsible for developing effective Peer Experience word-of-mouth marketing strategies that meet our sponsoring clients objectives and provide value for those who participate in Beck Ag programs. Vernon has been with Beck Ag for more than 12 years and involved in the industry for more than 30. 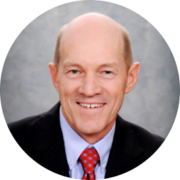 He has been successful in sales and marketing management positions for Northrup King Co., Sandoz Crop Protection, BASF, DEKALB and Monsanto before joining Beck Ag. During the time he was with DEKALB Genetics Corp., he was responsible for the launch of Roundup Ready® Corn for the U.S.
Vernon’s family farm background and deep understanding of the seed, row crop and chemical industry are valuable assets to Beck Ag and our clients. Vernon is responsible for developing effective Peer Experience word-of-mouth marketing strategies that meet our sponsoring clients objectives and provide value for those who participate in Beck Ag programs. Vernon graduated from University of Nebraska with a bachelor’s degree in Agriculture Education. 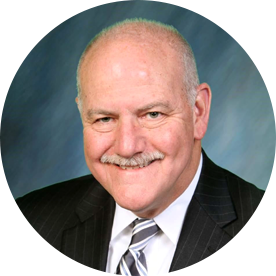 He is an active member of NAMA, ASTA, Knights of Columbus, TeamMates and Youth Sports Leader. Hugh is a member of Beck Ag's Board of Directors. Hugh's vast experience and expertise make him an integral advisor in helping us achieve our company's mission. Hugh is a member of Beck Ag’s Board of Directors. Hugh’s vast experience and expertise make him an integral advisor in helping us achieve our company’s mission. Hugh has spent the vast majority of his nearly 45-year professional career working for and with U.S. farmer-led and governmental organizations including overseeing producer communications programs for the American Soybean Association, the United Soybean Board, the Cattlemen’s Beef Board, the National Pork Board, the American Lamb Board, and the USDA Rural Development mission area. He served as the inaugural general manager for the U.S. Farmers & Ranchers Alliance, and was most recently the director of industry relations and communications for the National Association of Wheat Growers. Beck Ag’s Go-to-Market Solutions team works hard to understand your specific goals and challenges in the ag marketplace and then design effective strategies to address them. With expertise in ag marketing, sales, production and research, our leadership team has been creating results-driven Beck Ag strategies for all sectors of the ag industry for more than 20 years. With a listen first and often philosophy, he takes a pro-active approach to working with Beck Ag clients by diving in to help identify opportunities and overcome obstacles. “Agriculture is truly my passion. I cannot order a steak in a restaurant without having a conversation with the waiter about agriculture.”, says Dave, “Beck Ag gives me the opportunity to not only help industry leading Ag clients, but to help clients outside of Ag as well. Dave has deep roots in Agriculture being born and raised on his family’s farming, ranching and retail operation in Colorado. Dave brings 20 years of combined public sector and private industry experience including valuable experiences in executive level leadership. 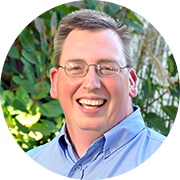 Dave focused 13 years of his career in sales and marketing in the animal health industry. In his marketing roles, Dave successfully led portfolios of offerings which included taking products to leadership positions in both dollars and sales volume. He directed both U.S. based and global teams where in many examples pace setting growth in both sales and profitability were delivered. Dave is a graduate of Colorado State University. He currently serves as the editor of the national publication, Sickle & Sheaf, of Alpha Gamma Rho Fraternity and was previously named a “Brother of the Century”. He is also a member of NAMA, NCBA, and he volunteers with organizations like 4-H, FFA, his Church and helps coach many of his five children’s sports teams. Robert brings over 20 years of agriculture and leadership experience. Weaver holds both Bachelors and Masters of Science degrees in agricultural economics. 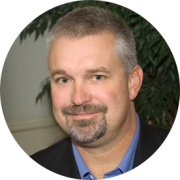 His previous experience includes leadership positions at Adayana, The Context Network, and the Farnsworth Group. 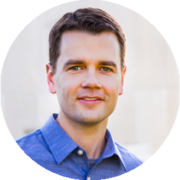 Robert leads all aspects of the Ag Insight business unit including strategy, business development and operations to assist Beck Ag clients in gaining insight and intelligence in the ag marketplace. Prior to Beck Ag, Sheila worked at AGDATA in a variety of positions, including general manager and COO. Sheila’s experience also includes 18 years at Griffin LLC and American Cyanamid in sales, logistics, finance and information technology. 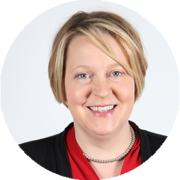 As vice president of Go-To-Market Solutions, AG IQ®, Sheila leads strategy and business development to assist Beck Ag clients in leveraging customer intelligence and data to efficiently and effectively build customer relationships, increase profits and grow market share. In Dave's role as Vice President for Go-To-Market Solutions, his experience and expertise make him an integral part of our team. Dave consults with clients to develop and execute comprehensive Go-To-Market strategies. In Dave’s role as Vice President for Go-To-Market Solutions, his experience and expertise make him an integral part of our team. 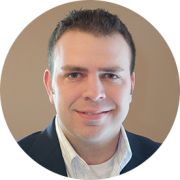 Dave consults with clients to develop and execute comprehensive Go-To-Market strategies. Dave also works with clients to utilize Beck Ag’s strong AG IQ™ customer intelligence and proven experience-sharing tactics. In his 40-year career, Dell spent over 30 years with New Holland serving in a variety of division management capacities including sales and senior product marketing director for tractors, hay & forage equipment, tillage & seeding equipment and general manager of after-sales. He also has held sales and marketing management positions with Wenger Feed Mills, Lebanon Seaboard Corporation and, most recently, with Brock Grain Systems. In 2016, Dell was named “Outstanding Alumnus” in the College of Agriculture at Pennsylvania State University for his life accomplishments and outstanding service and support of his alma mater. Carol’s professional experience in agriculture is a significant asset in contributing towards her success and effectiveness as a Beck Ag Director of Sales. 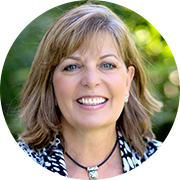 Carol Timke brings to Beck Ag more than 26 years of experience in the areas of sales, marketing, sales development and training within the agricultural industry. Growing up on a dairy and horse farm in southwest Washington, her passion for agriculture flourished and has continued to grow throughout her professional ventures. 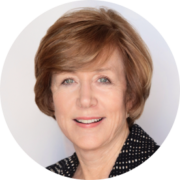 Prior to working with Beck Ag, Carol was the Director of Global Sales Training & Development at Pioneer Hi-Bred International. Prior to her work with Pioneer, she also worked with Ciba-Geigy Crop Protection and Ciba Seeds in sales and management positions. Carol’s professional experience in agriculture is a significant asset in contributing towards her success and effectiveness as a Beck Ag Director of Sales. Carol holds a master’s degree in Adult and Continuing Education from WSU and a bachelor’s degree in Agriculture with emphasis in Dairy Science and Ag Communications. 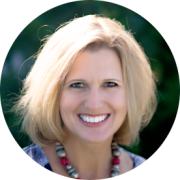 She is currently the president of CT Consulting focusing on sales development, coaching and sales effectiveness. She is also active in her community from coaching sports to a horse 4-H leader and mentor for college students at WSU. In addition, she is an active member of the National Paint Horse Association, Iowa Paint Horse Club, Iowa Pinto Horse Club, Pinto Horse Association where she serves on the National marketing committee and state association as a board member, Warren County Saddle Club board member for 12 years, American Society of Training and Development, a lifetime FFA Alumni member, past board member of the College of AgHE Alumni and past advisory board member for Adayana. The account partner team is committed to leading the execution of every aspect of our strategies from start to finish. This team ensures the right people and tactics are in place to help you deliver the right message, talk to the right people and learn key insights from the marketplace at the right time to ultimately help your business grow. Barbara joined the Beck Ag team with over 25 years of experience in the Animal Health Industry. With a strong network of relationships in the Animal Health industry, Barbara has enjoyed helping Beck Ag clients grow their market-share within their respective areas. 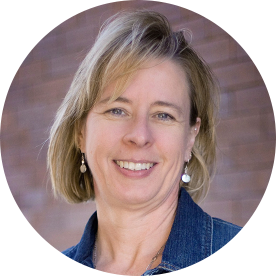 Barbara joined the Beck Ag team with over 25 years of experience in the Animal Health Industry. Throughout her career she has held positions in sales and sales management, market development, market research, product management and national account management. Her experience covers all animal species from companion animal and equine to livestock, poultry and mink. An Animal Science graduate of Iowa State University, Barbara has served in positions for the Animal Health Institute (AHI), Animal Feed Ingredient Association (AFIA) and Allied Industry segments of National Cattlemen’s Beef Association (NCBA) and National Pork Producer Association (NPPC). Christina's professional experience in association management within the soybean industry and her master's degree in Marketing significantly contributes to her success as a Beck Ag Implementation Leader. After spending her childhood on a corn and soybean farm in western Kentucky, Christina graduated from Murray State University with a degree in Agri-Business, furthering her interest in agriculture. Christina’s professional experience in association management within the soybean industry and her master’s degree in Marketing significantly contributes to her success as a Beck Ag Implementation Leader. Christina lives near Denver, CO with her husband and two sons. Mindy brings over 20 years of agriculture brand advertising and marketing experience, spending more than 15 years agency-side managing leading agricultural brands. She grew up on a family dairy farm in mid-Michigan, and was very active in 4-H and FFA. Mindy graduated from Michigan State University with a degree in Agriculture and Natural Resources Communications. A career opportunity brought her to Kansas City, MO in 1998, and the rest is history. In her free time, Mindy and her husband, enjoy watching their two children participate and compete in youth sports. The Strategic Intelligence team is Beck Ag’s team focused on customer insight and intelligence. With expertise in data collection and analysis, this team is instrumental in gaining key marketplace insights and metrics and utilizing them to build strong sales and marketing strategies. This team also leads strategies to engage with our clients’ workforce and customers digitally. Nick joined Beck Ag in 2015 with a professional background in Digital Marketing and web design. 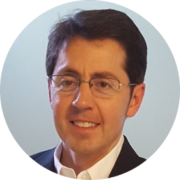 With a degree in Speech Communication & Organizational Leadership, he uses his skillset to manage the development of the interfaces and processes that enable users to leverage the power of AGIQ®. Outside of work, Nick spends most of his time with his wife & four young children and volunteering at his church. Jerry earned his Bachelor degree in Computer Science from Evangel University in Springfield, MO. Prior to joining Beck Ag, Jerry worked at DatabaseUSA for five years as the Chief Technology Officer responsible for building all databases in the cloud, building the call center driven by a predictive dialer, and all analytical and ETL services. Prior to DatabaseUSA, Jerry worked twenty-three years at Infogroup as a Senior Software engineer building, maintaining the core US Business database, and then as the Application Development Manager of ETL services. Jerry joined the Beck Ag team in March of 2016. Jerry is Chief Data Architect of AG IQ within Beck Ag. He leads architectural development of all data modeling, ETL, software, and analytic services in Azure cloud. 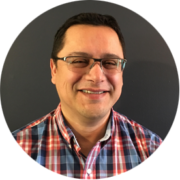 Sonny has over 17 years of experience in IT and has architected various solutions for increasing performance and efficiency, and has extensive experience in Data Management, Enterprise Applications, CRM/Marketing, Business Intelligence & Analytics, Cloud and Mobile. 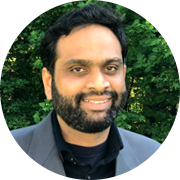 As Beck Ag’s Intelligence Solutions Architect, Dasari’s primary responsibilities include leading the technical implementation of new data management solutions, leading development to enable full implementation of Beck Ag’s market intelligence competency area, and providing measurable and scalable analytic solutions to meet client needs. Sonny graduated from the University Of South Carolina with a master’s degree in Computer Sciences. He is a Microsoft Certified Technology specialist with various Microsoft Certifications and actively participated in various research publications. Sonny is also an avid Racquetball player and enjoys other sports like basketball and football. In his spare time, you can find him spending time with his family and two children. After growing up on a diversified row crop and livestock farm in Northeast Iowa, Amy attended Hawkeye Community College and graduated with an associate’s degree in Animal Science. 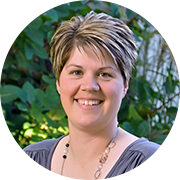 Amy furthered her education at Iowa State University with a degree in Agricultural Studies. She brings almost 10 years of support experience and excels in the area of customer relations working with both retailers and direct customers. 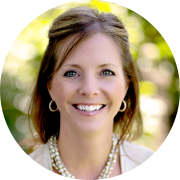 Amy enjoys spending time with family, friends, collecting Longaberger baskets and baking. Amy resides in Ames, IA. Todd's role with Beck Ag is to provide data support for the Executive and Project Leader teams, develop and maintain the Beck Ag Virtual Office platform, and provide IT support throughout the company. Todd joined the Beck Ag team in early 2004 and has brought a diverse computer background with him. Todd holds a bachelor’s degree from Wayne State College in Wayne, Nebraska, majoring in Mathematics with minors in Physics and Business Administration. After college, he worked for nearly 4 years in pension plan administration before beginning a career in computers. His computer experience ranges from hardware and software support to web site and database design. Todd’s role with Beck Ag is to provide data support for the Executive and Project Leader teams, develop and maintain the Beck Ag Virtual Office platform, and provide IT support throughout the company. When he’s not working his “Beck Ag Magic”, Todd enjoys spending time with his wife and 3 children, volunteering at his church and other organizations, and loves anything to do with sports. Beck Ag’s strategies require specialized skills for successful execution. The Specialty Support Team provides exactly what is needed to engage the marketplace in a variety of ways. This team is instrumental in making sure excellence is delivered in the details of every project. 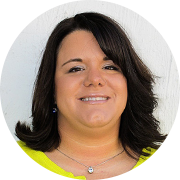 In her primary role, Kelsey insures our client’s customers receive important information in a timely manner. Kelsey joins Beck Ag with a great deal or organizational skills, computer skills, and strong attention to detail. 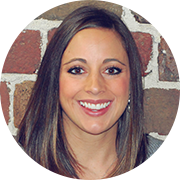 Kelsey just joined Beck Ag in Fall 2014 as a Fulfillment Coordinator. 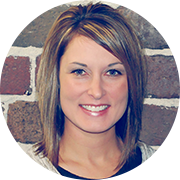 In her primary role, Kelsey insures our client’s customers receive important information in a timely manner. Kelsey joins Beck Ag with a great deal of organizational skills, computer skills, and strong attention to detail. After graduating from Wayne State College with a bachelor’s degree in Fashion Merchandising, Kelsey and her husband decided to stay in Nebraska and enjoy small town living. When not at work Kelsey keeps busy running after her two year old son and enjoys every minute of it. Shona joins Beck Ag with a great deal of organizational skills, strong computer skills and attention to detail. She will be supporting a number of Implementation Leaders with their fulfillment, polling, and other needs. Shona joins Beck Ag as a Payroll Manager in the Wayne support office. Prior to Beck Ag, Shona worked in the accounting and service support group for a local service management organization. Shona joins Beck Ag with a great deal of organizational skills, strong computer skills and attention to detail. She will be supporting a number of Implementation Leaders with their fulfillment, polling, and other needs. Shona and her husband live in Wayne, Nebraska with their three small children. 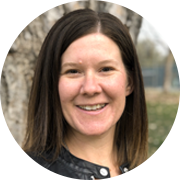 Melissa came to Beck with over 8 years of crop protection experience and a bachelor’s degree in Agronomy from the University of Nebraska at Lincoln. Melissa’s attention to detail and agricultural experience help her lead and support multiple Beck Ag projects, as well as moderate Beck Ag conversations. When not working for Beck Ag, Melissa is busy with her two small children and helping her husband farm and manage their feed and seed businesses. Ann came to Beck Ag in 2010 with a background in sales and sales management and a bachelor’s degree in Business Administration from St. Thomas University. Ann leads Beck Ag’s team of AgTeleExperts, while working with other Beck Ag teams to ensure overall success with each Beck Ag Project. Ann resides in Minnesota with her husband and four children. 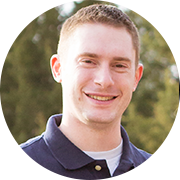 Brian joined the Beck Ag team in 2011 as a designer, and works on the Beck Ag Marketing and Design team specializing in print, interactive and web design, along with Beck Ag branding and identity, direct mail, and email marketing. Brian previously worked for an agency in Omaha doing design work for ag accounts; previous to that he interned and did design work for a Lincoln agency while earning his degree in Advertising from the University of Nebraska at Lincoln. When not designing for Beck Ag, Brian enjoys Nebraska athletics, visiting his family farm in Orleans, Ne, hunting, fishing and boating. In addition to employees, Beck Ag also partners with contractors from across the country on an as-needed basis. We’re proud to have strong relationships with more than 60 contract ag specialists who add incredible value to our team and to our clients. We have a long history of seeking the best talent in the industry as we build teams to execute go-to-market strategies, and many of contractors have worked with us for more than a decade.